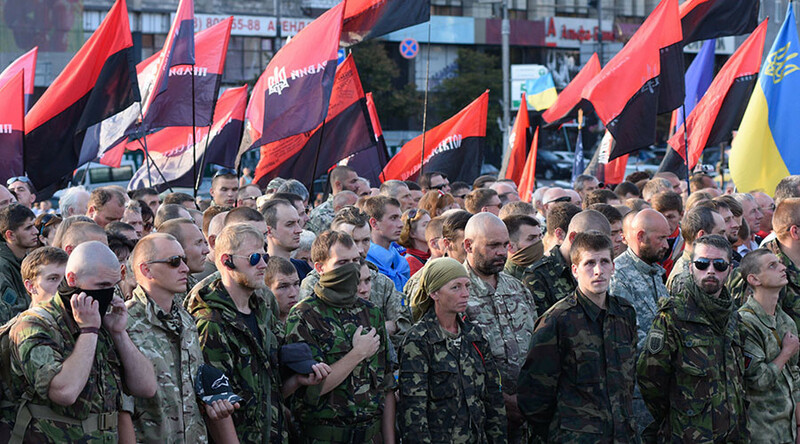 Will EU turn blind eye to Kiev’s Nazi-style rhetoric on Russia? There is a longstanding tradition of EU leaders turning a blind eye to the behavior of the Ukrainian leadership even though it doesn’t correspond to what is called Western values, said French economist Jacques Sapir. Moscow has accused President Poroshenko's advisor Yuri Biryukov of using Nazi rhetoric. In his post on Facebook Biryukov said he was “squeamish” about Russians and compared them with “small, harmful insects”. Russian Foreign Ministry spokeswoman Maria Zakharova commented that the idea of comparing nations with flora and fauna is not new at all. “One of the examples would be the comparison of the Slavs with rabbits 74 years ago. Reichskommissar Erich Koch then denied the idea of a free Ukraine as Slavic people belonged to the family of rabbits, and so they would never be able to rise above this level without being pushed by the class of the owners,” she added. “It was exactly what the Nazis did with the Jews and with all Slavic people describing them as subhuman or even worse. It is exactly the same speech and kind of discourse we can hear right now from people from Ukraine,” he told RT. Asked why such comments as “smashing Russian insects with a slipper” can be heard from top of Ukrainian politicians, Sapir said it is not surprising given the split within the country’s politics. “On the one hand, we have here people which are really desperate, hopeless about the current situation in Ukraine. And on the other hand, we have also people who don’t see another way than the way to hyper-nationalism. Not just nationalism but hyper-nationalism. And this kind of fact is, of course, leading them into the very same kind of words and discourse which was used by the Nazis in the late 1930s and the early 1940s,” he said. “We could say that it is absolutely obvious that this behavior is not corresponding to what is called Western values. It is not corresponding as a matter of fact with values of the human community. But unfortunately we could probably see that for political reasons the EU leadership will turn a blind eye on that,” Sapir added.